Presenting new vocal recordings of some of the most familiar Giving Voice to the Spirit songs we sing together on Sunday mornings. 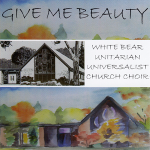 The recordings are a mix of freedom songs, spirituals, and traditional UU hymns to be used at church gatherings, and hopefully, in your homes and cars! More songs will be recorded and added to the online repertoire in the future. To purchase: Select the songs you wish by clicking the “Add to Cart” button next to the song title. A “Checkout” button will appear. Once you’ve selected all the songs you’d like, click on any of the “Checkout” buttons to be taken to the checkout page. From there you will be directed to PayPal for payment. Once payment is complete, you will receive an email with your download link(s). This compilation recording of 25 talented professional and amateur WBUUC member musicians, features classical, jazz, folk, and pop vocals and instrumentals. Recorded in 2011, these original and cover songs are a record for all time of some of WBUUC’s most familiar musicians. 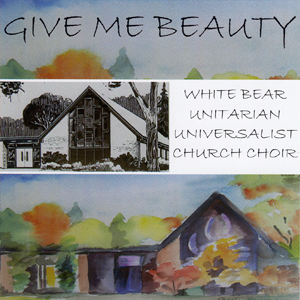 Recorded in 2005, this CD features 17 tracks of our amazing White Bear UU Adult Choir, directed by Thaxter Cunio and accompanied by Carol Caouette. 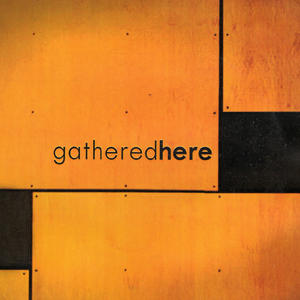 You can receive this CD free with your purchase of a Gathered Here CD.